MFJ-841 Walkie Talkie SWR PWR Meter Used 12 Months Warranty. Connects directly in line between your HT and antenna. Read SWR up to 6:1 and power output to 5 watts. 3 Position switch selects SWR< SWR set, or foreward power. 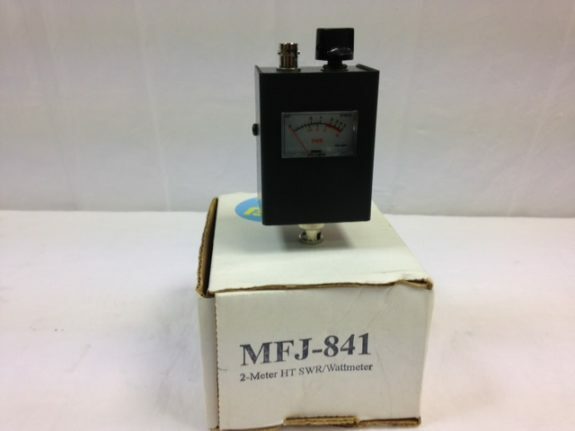 MFJ-841 Amateur Radio Shops HAM Radio Dealer Supplier Retailer.